A former presidential cybersecurity advisor stated at a conference on Monday that U.S. computer networks are so vulnerable to attack that they should think twice before going to war with other nations. The shocking claim was made by Richard Clarke, former cybersecurity advisor to three presidents, during the conference joined by a number of U.S. military and civilian experts. According to Clarke, the U.S. military is entirely dependent on computer systems and the seriousness of the problem could result in them entering a battlefield where "nothing works." 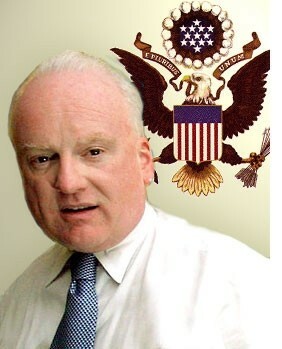 Clarke said that if he were the current advisor to the President, he would caution against attacking other countries because a number of them, such as China, North Korea, Iran and Russia, have the capability of launching devastating attacks on the country's infrastructure, destroying power grids, banking networks and transportation systems. "The entire U.S. economic system could be crashed in retaliation ... because we can't defend it today." "I really don't know to what extent the weapon systems that have been developed over the last 10 years have been penetrated, to what extent the chips are compromised, to what extent the code is compromised," Clarke said. "I can't assure you that as you go to war with a cybersecurity-conscious, cybersecurity-capable enemy that any of our stuff is going to work." General Keith Alexander, head of the NSA and U.S. Cyber Command said to the conference crowd that the U.S. needs to start doing a better job of eliminating network vulnerabilities and much more aggressively seek out malware and viruses in corporate, military and government systems. Clarke added that it was about time the U.S. made it clear to countries like China and Russia that their continued efforts to use cyber-attacks against America would not go unpunished, as they represented a "persistent threat to U.S. economic security." He further added that until there are real consequences for massive espionage, countries like China will still keep stealing. Last week the Office of the National Counterintelligence Executive released a critical report labelling China as its most persistent cyber-attacker, with Russia also present in the list paired with China as the two "most aggressive collectors" of U.S. trade secrets.